Staff Notes: Arr. de Francisco Avitia. “El Charro del Norte”. This is about prison uprising in Colorado. This was also recorded on Vocalion as a two part corrido called “Convictos De Colorado. See Vocalion 8615. This is also Columbia 6512-X. Loud surface noise due to wear. Arr. de Francisco Avitia. “El Charro del Norte”. This is about prison uprising in Colorado. 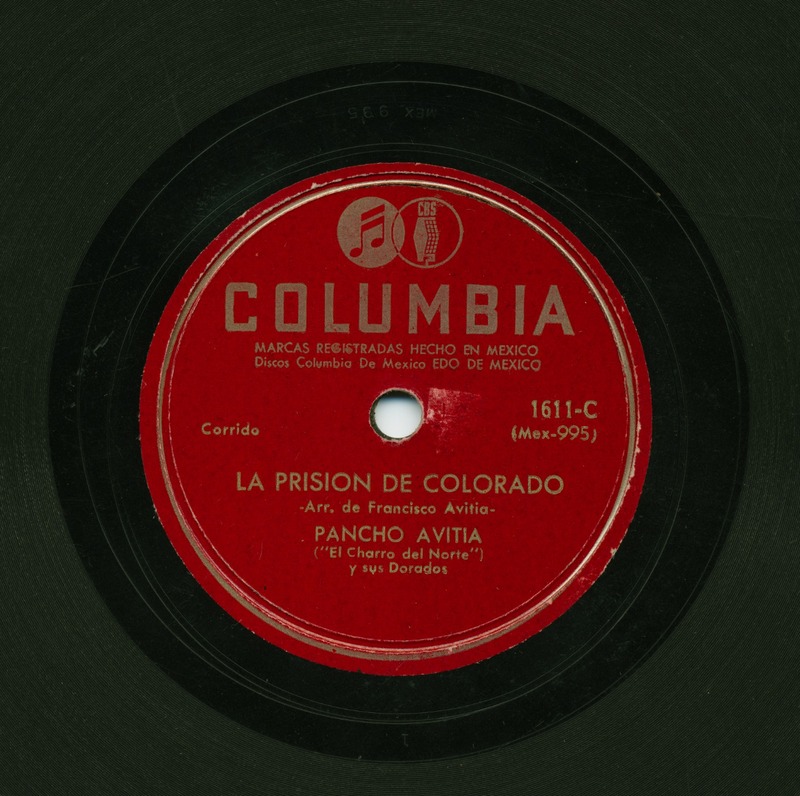 This was also recorded on Vocalion as a two part corrido called “Convictos De Colorado. See Vocalion 8615. This is also Columbia 6512-X. Loud surface noise due to wear.